How Far is Tulasi Vanam? Destined in one of the most prestigious locations in Hyderabad, Kukatpally, this project is one of the best developments by the renowned real estate group Bhavya Constructions in Hyderabad. 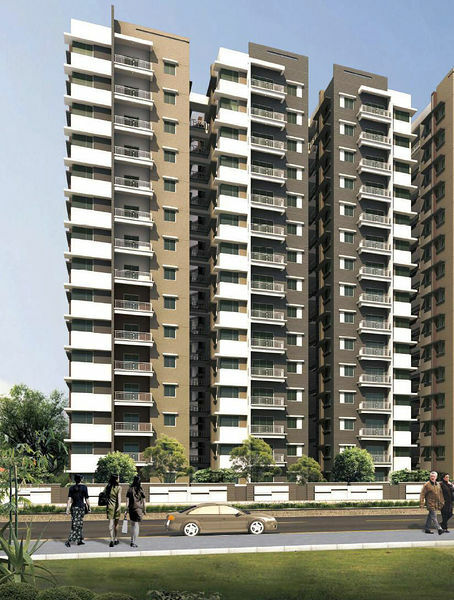 This magnificent project boasts modern day features required for a contemporary lifestyle. The project offers ready to occupy 2BHK apartments for sale in Kukatpally, Hyderabad with a size range of 1135 sq. 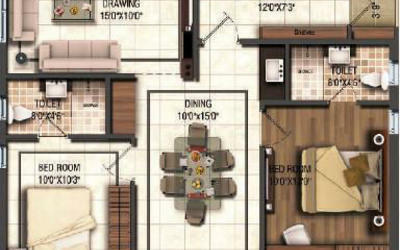 ft. and 3BHK apartments with sizes ranging from 1450 - 1600 sq. ft. apartments in Hyderabad. These apartments are unique and designed keeping you in mind, to make sure you get the maximum benefit from the apartments, comprised of world-class equipment and fittings. The word Tulasi has a very deep-rooted connection in the Hindu mythology. It is a symbol of purity and is being valued by us. Deprived of this fact, Tulasi Vanam is conceptualized to stand as a symbol of purity and honesty. It is meant to serve timeless value to its customers and bring peace to their lives. The thought of providing you with the best quality and a house which has all the modern amenities at an affordable price makes it even better option to choose from. Light weight brick/brick masonry in cement mortar. Double coated plastering both inside and outside. UPVC windows by standard company with glass panel, MS grill for windows. Interior: Two coats of putty finish, primer coat, 2 coats of good quality emulsion paint. Exterior: Texture finish, weather-proof emulsion paints based on the finalised elevation. Glazed ceramic tiles dado uotp 7' height in toilets of reputed make. UPVC for plumb lines. All CP fittings of reputed make. Sanitary ware of reputed make with hot and cold mixer with shower. Secured boundary. Modern, reliable and rugged electronic security, communication and surveillance systems. Concealed conduit wirinf with PVC insulated copper cables for light, fan and plug points. Split A/C points in all bedrooms with copper cabling work with modular switches of reputed make. Drawing room with provision for one fan point, two light points, two 3 -pin socket, TV and telephone points. Kitchen shall be provided with 5 amps points for chimney, Aquaguard and 15 amps switche and socket shall be provided for any other necessary appliances. Common points include 15 amps Switch adn socket for washing machine in utility area and fridge in dining area, one light point in all balconies.